Let Your Baby Dance Around in Party Dresses! Partying is an inevitable part of everyone’s life. While going to a party, you have to dress your baby girl up according to the event. That means you have to buy the girl’s party dresses so that you may enjoy with your baby. 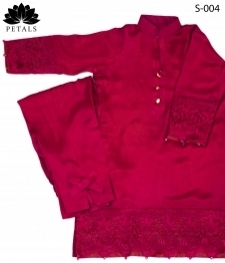 Affordable.pk brings an amazing opportunity for mothers to buy fancy dresses for girls at amazingly affordable prices. Dress her up as you dress for a party and make the most of the event. Partying is fun only when you have dressed accordingly. Dressing plays an essential part in any occasion and your clothes must go with time and event. If you are a mother, you have multiple questions in mind regarding clothing. What should I wear to the party? What should my baby wear and what color should I go for? Does a frock looks nice or should I go for a skirt? Does it suit her age? These are some of the random questions that come to your mind whenever there is a party around. Affordable.pk has all the solutions to your fashion-related queries; therefore, it brings clothes not only for you but for your baby as well. Buy party wears for girls that are well-designed to give her a fairy look and enjoy at your fullest. Mothers dress their girls up according to their own taste. Some ladies like matching her own clothes with her baby's at parties. Therefore, her wardrobe must include different types of dresses so that it becomes easy for you to match. Below are some of the girl’s party dress styles available at Affordable.pk. The most common and loved party wear are flower girl’s dresses. Girls like nothing more than being a Frozen-inspired fairy and they look just like it when they wear floral baby frocks. 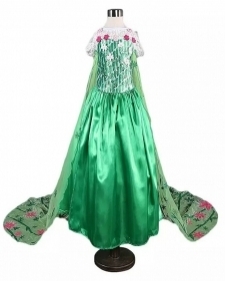 Make her dance around on the floor by wearing long blue or green frozen baby frock. They give her a delicate look and make her party hard. You can match it with your own party wear frocks, gowns, or frock-style tops. Make her wear cute little pumps with these frocks. Avoid wearing joggers or other related shoes with them. Tie her hair nicely in a pony or leave her hair open with front puffs properly combed or pinned. This will add icing on the cake and give her a perfect party look. These dresses give a little informal look to the party. They are suitable for daytime parties as you have little time to get ready during the afternoon. In such situations, mothers prefer something that would take less time. 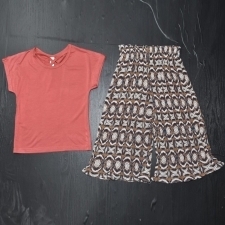 The skirts and Capri suits available are easy to wear and you can make her wear shoes with them. Just tie a hair band and leave for the party. As simple as that! It gives both the formal and informal look and is perfect for the occasion. These are one of the most highly demanded children dresses and are also worn casually. What to do when you have to attend a party in winters? You can wear yourself a sweater, but you must keep precautions for your baby. Make her wear woolen party dresses that are as beautifully designed as other dresses for girls. There is a woolen pajama and a slightly long sweater-like top with it along with an inner. This protects her in the best way meanwhile giving her a nice trendy look. The infant babies need just as equal attention as the older kids. Therefore, floral frocks for cuties are also available in this category. If your baby is just an infant and you still can’t miss your party, make her wear cute little frocks available at Affordable.pk and enjoy with her.